On September 16 in the framework of “Clean Up the World - Clean Up Georgia” campaign a clean-up action was held in Terjola Municipality, organized by the regional coordinator of the Greens Movement of Georgia / Friends of the Earth Georgia. During the action the roadsides of Terdjola central motorway have been cleaned up, about 5 ha area. Together with organizers the representatives of local population, volunteers participated in the action . Around 150 people took part in the action. 5 m3 of waste were collected. On September 16 in the framework of “Clean Up the World - Clean Up Georgia” campaign a clean-up action was held in Tkibuli. During the action public school yards and roadsides of Tkibuli-Ambrolauri motorway were cleaned up, about 5 ha area. Around 4m3 of waste were collected. Totally 170 volunteers took part in the action. On September 16 in the framework of “Clean Up the World - Clean Up Georgia” campaign a clean-up action was held in Khobi Municipality, organized by local representative of the Greens Movement of Georgia/ Friends of the Earth Georgia. Within the action were cleaned up Khobi central squares, commercial facilities surrounding areas. On September 17 in the framework of “Clean Up the World - Clean Up Georgia” campaign a clean-up action was held in Martvili Municipality, organized by local representative of the Greens Movement of Georgia/ Friends of the Earth Georgia, during which rural centers of Martvili municipality have been cleaned up. The event together with organizers was attended by heads of local communities and representatives of the local population. On 16 september, In the framework of “Clean Up the World- Clean Up Georgia” campaign a clean-up action was held in Dmanisi municipality, organized by the local coordinator of the Greens Movement of Georgia / Friends of the Earth Georgia. 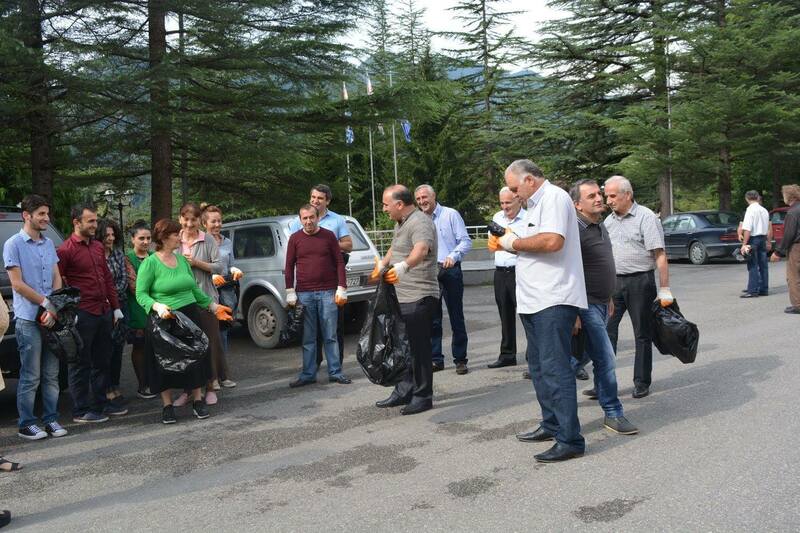 On 18 september, in the framework of “Clean Up the World- Clean Up Georgia” campaign a clean-up action was held in Marneuli municipality, where along with organizers the representatives of local population took part in the action. During the action was cleaned up the left side area of Shaumiani entrance road. About 2m3 of waste were collected and around 3 ha area has been cleaned up. Around 130 volunteers took part in the action. On 17 september, in the framework of “Clean Up the World- Clean Up Georgia” campaign a clean-up action was held in Kaspi municipality, organized by the local coordinator of the Greens Movement of Georgia / Friends of the Earth Georgia with participation of representatives of local authorities and population. On 20 september, Telavi Municipality actively participates in “Clean Up the World- Clean Up Georgia” campaign organized by the local coordinator of the Greens Movement of Georgia / Friends of the Earth Georgia. During the said campaign were cleaned up the central areas, as well as school yards of the following villages of Telavi municipality : Ikalto, Jugaani, Napareuli, Vardisubani, Kondoli, Tetri Tsklebi and Shalauri. On 20 september, in the framework of “Clean Up the World- Clean Up Georgia” campaign a clean-up action was held in Akhmeta. During the action were cleaned up the central road pedestrian sections, public school and kindergarten yards, about 1 ha area. During the action were collected 1,5 m3 of waste. Around 1000 volunteers participated in the action. on septemeber 16, Greens Movement of Georgia / Friends of the Earth - Georgia with support of Lentekhi Municipality Administration has organized a clean up action within the framework of "Clean-up Georgia" campaign in Lentekhi. During the action were cleaned up squares, playgrounds, sidewalks, Municipality Administration building and sport school surrounding areas. Vake majoritarian candidate of "Georgian Dream - Democratic Georgia" Mr. Bidzina Gegidze has joined the "Clean-up Georgia" campaign. On 3 October , 2016 at his initiative a clean up action was carried out in Vake Park neighborhood area . 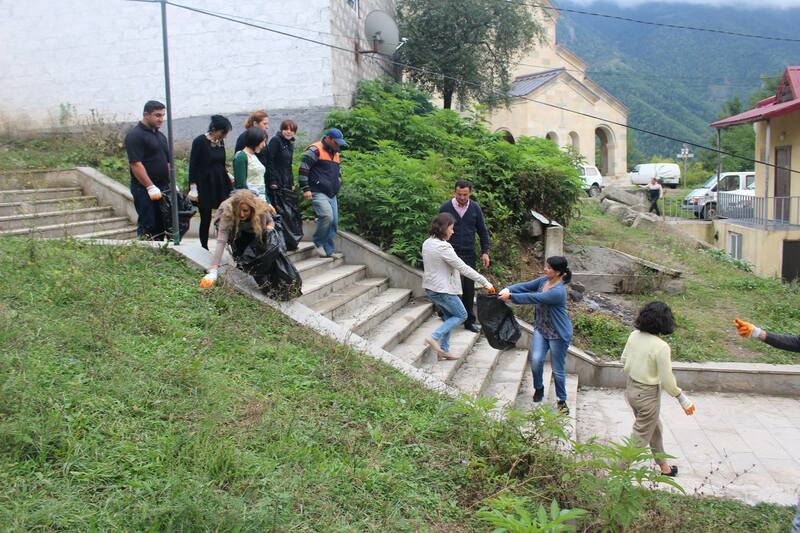 On 19 september, Within the framework of “Clean Up Georgia ” campaign a clean-up action was held in Khulo Municipality. Clean up action has been carried out in vicinity area of Khulo- Shuakhevi motorway section, where along with organizers participated the representatives of local residents. Totally, 120 people participated in this event, around 15 ha area has been cleaned up and about 16 m3 of waste were collected. 19 september,Within the framework of “Clean Up Georgia ” campaign a clean-up action was held Shuakhevi in Municipality. During the actions were cleaned up administration centers of the municipality and the villages. Totally, 150 people participated in this event, around 20 ha area has been cleaned up and about 12 m3 of waste were collected. 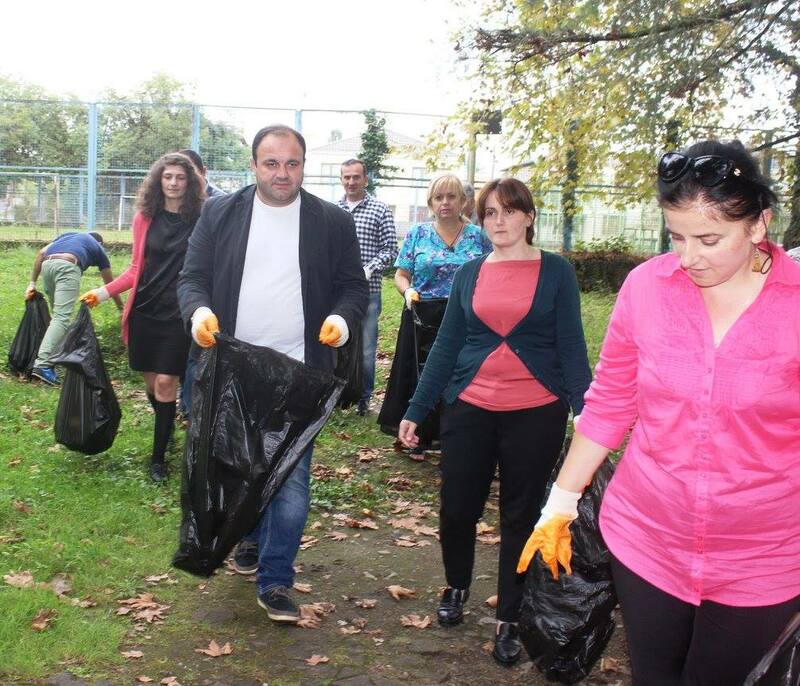 On 19 september, Within the framework of “Clean Up Georgia ” campaign a clean-up action was held in Keda Municipality. During the campaign were cleaned up areas around the central squares of the municipality. Totally, 50 people participated in this event, around 7 ha area has been cleaned up and about 10 m3 of waste were collected. 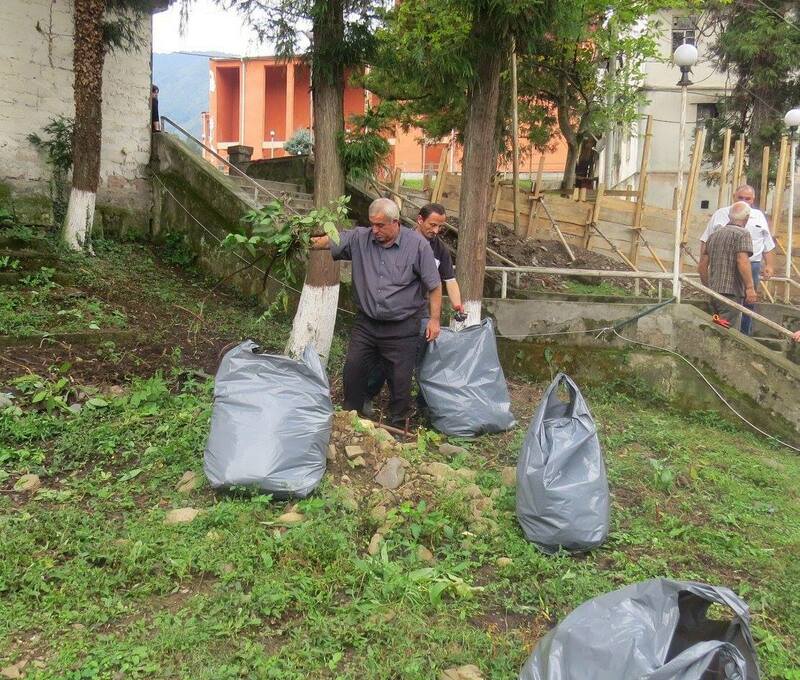 ON 16 september,Within the framework of “Clean Up Georgia” campaign a large-scale clean up action has been organized in Ozurgeti municipality. The event has been organized by local coordinator of Greens Movement of Georgia/ Friends of the Earth Georgia with participation of local administration and council representatives, local residents.